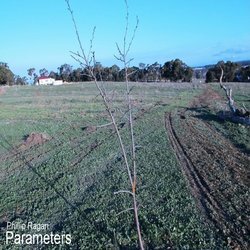 Currently finishing up his fourth solo album, Parameters, Phillip Ragan is a Christian folk singer/songwriter from Perth, Western Australia. Sharing the good news about Jesus Christ to others is something that Phillip intends to use his song writing to do, "I want to bring to people's attention the love of our Lord and Saviour Jesus Christ and that salvation is completely a free gift, not of any works, and that it is eternal...so once The Holy Spirit enters a person through faith in The Lord Jesus Christ, a change takes place, regeneration, that can never be undone. That is why The Bible uses the word Eternal or Everlasting when referring to salvation. I hope that my new album will be warmly received by Christians and non-believers alike. This song in many ways describes my journey from someone who was searching for truth, but ultimately was lost, to a man who encountered the love of God through His perfect Son Jesus Christ and accepted the free gift of salvation.